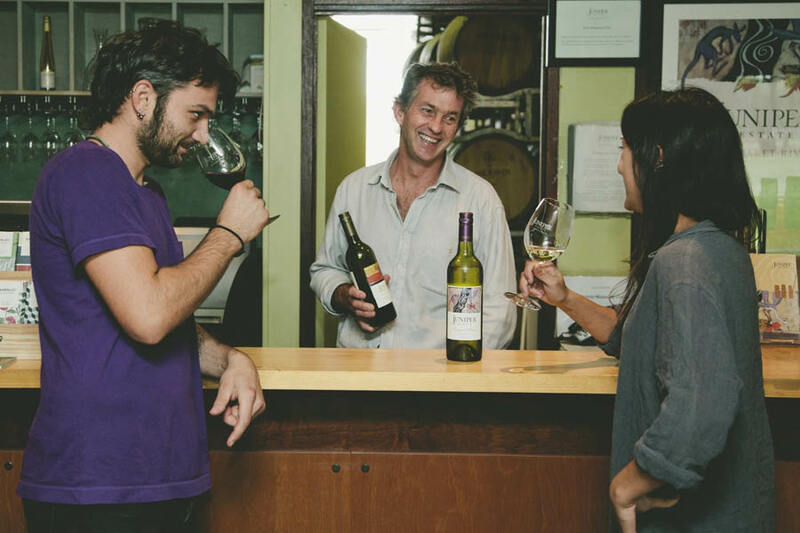 Juniper aims to produce Estate wines which rank with the best wines to come from Wilyabrup. The area has established itself over more than 30 years as the most successful sub-region of Margaret River, particularly for red wines. Juniper shares “terroir” with a number of famous producers. The Estate reds are true regional wines with minimal influence from the winery, and are a further example of Wilyabrup’s proven ability to produce wines of the highest quality. 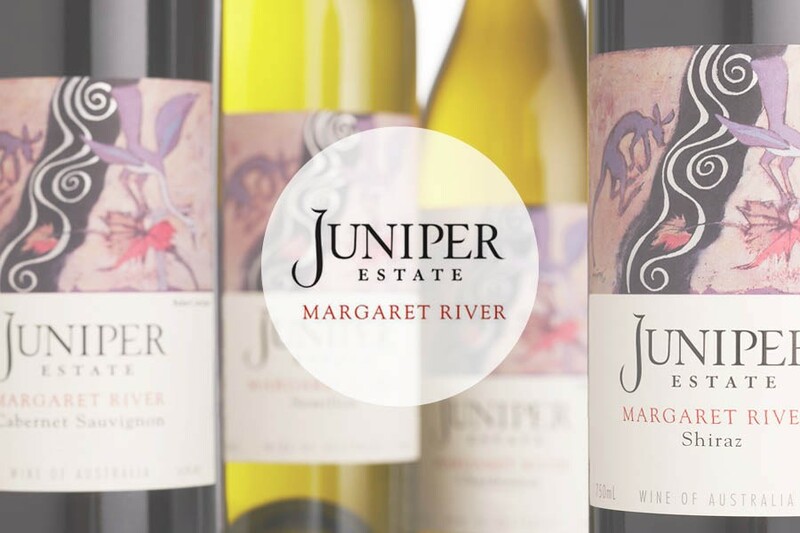 Juniper Estate is located in Margaret River Western Australia. The region’s gravelly loam over clay base and strong maritime influences have made it home to some of the most highly regarded Australian wineries, and Margaret River wineries now produce more than 20% of Australia’s premium wines from less than 3% of total wine production. 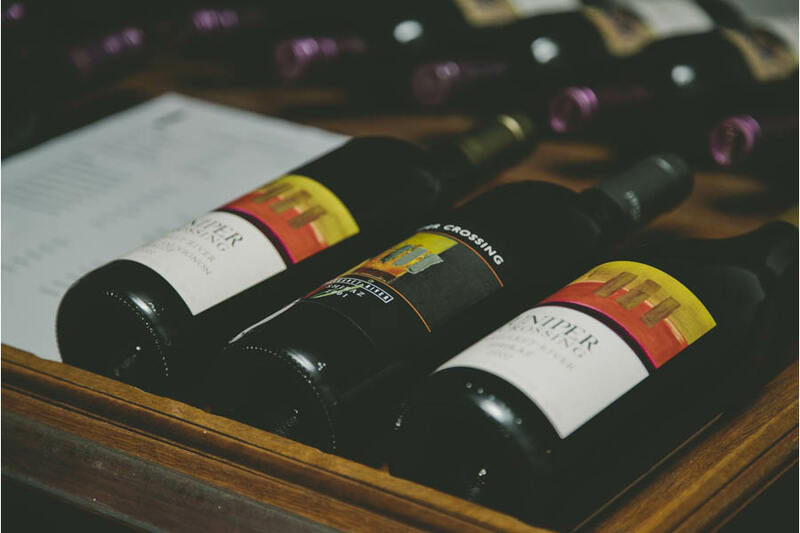 Thousands of wine lovers visit the Margaret River region each year and many find their way to Juniper Estate’s cellar door tasting room or picturesque grounds to enjoy Juniper’s award winning Western Australian wines. Juniper Estate was planted by Henry and Maureen Wright in 1973 on Harmans Road South, in its picturesque setting along the Wilyabrup Creek. The vineyard grows on the gravelly loam soils, which have produced so many of the Margaret River wines which now command Australia-wide and international recognition. The land has a rich history. In the 19 th century the road from Busselton to the south ran through what is now the vineyard and forded the Wilyabrup Creek (hence the “Crossing” range of wines). It was then part of the group settlement scheme in the years between the World Wars. The present vineyard block was created by subdivision by the well-known Western Australian artist family, the Junipers after whom it is now named. When Roger Hill and Gillian Anderson purchased the Wrights vineyard in 1998, the 10ha vineyard was already 25 years old, but in need of retrellising and a certain amount of nursing to bring it back to health. All of that has happened, along with the planting of additional shiraz and cabernet sauvignon. 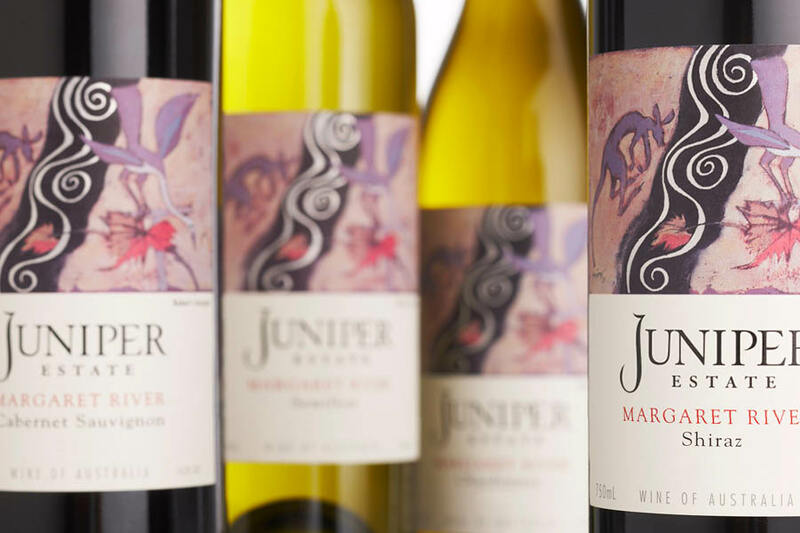 The Juniper Crossing wines use a mix of estate-grown grapes and grapes from other Margaret River vineyards, while the Juniper Estate releases are made only from the estate plantings. The death of Roger Hill in a traffic accident in May 13 was (obviously) not foreseen, but wife Gillian will continue running Juniper Estate and Higher Plane. of the Year - the only nominee from WA. In 2014 alone Juniper won 101 awards (1 trophy, 1 double gold, 11 golds, 27 silvers, 61 bronze medals). Chardonnay Producer of the Year. the 2014 Melbourne International Wine Competition.